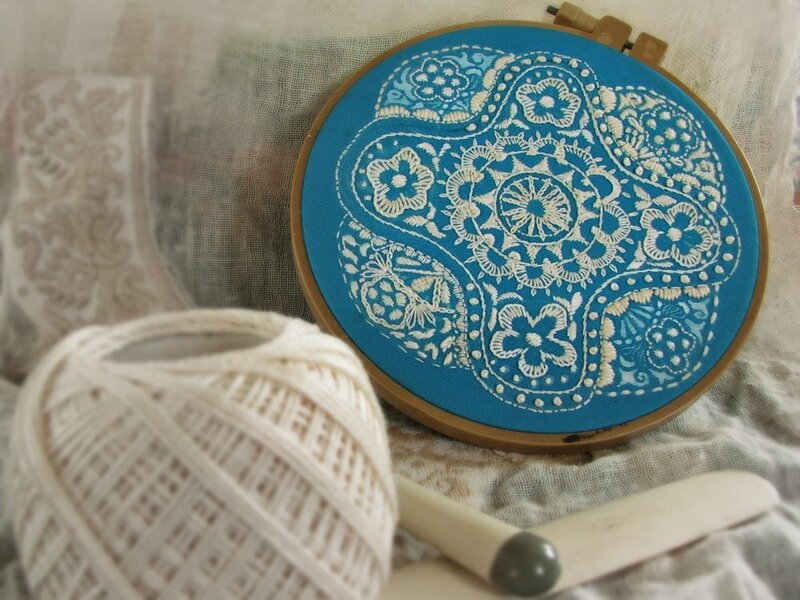 Cotton crochet thread on blue homespun cotton. Stem, blanket stitch, picots and french knots. Blogged about it here.